Did you know there are nearly 400,000 house fires per year in the United States? These fires typically result in close to 3,000 civilian casualties and more than $6.8 billion dollars in property damage. Don’t become another added number to this statistic. Follow these three quick tips to prevent house fires in your home, and remember to get your home routinely checked by a professional to ensure your wiring, plumbing, gas, heating and air conditioning are in the best, safest condition possible. In 2011, the USFA reported just shy of 600,000 outside fires occurring largely from unintentional causes. Be keeping the exterior of your home in prime condition, you can greatly decrease your chances of accidentally sparking a flame. Keep lawn and clippings and landscaping debris away from the walls of your home. The fermentation of these clippings can create heat and potentially start a fire. Trim close, low-hanging tree branches and consider removing trees and shrubs that are in close proximity to the house. If ever an outside fire were to catch, you can greatly reduce the risk of the flames spreading to your home if it isn’t in contact with outside sources. Consider grilling on a concrete pad instead of a deck. If a deck is your only option, be sure to place a non-flammable pad underneath the grill to prevent ashes from falling on and igniting your wooden deck. Perhaps the best way to prevent a house fire is simply knowing the dangers and properly preparing for even the worst possibilities. Add extra protection to your home with a sprinkler system. This is a great resource for larger homes or for homeowners who spend a large amount of time away from the home. Ensure fire extinguishers are easily accessible and that everyone residing in the home knows how to properly operate an extinguisher. They fit nicely under stinks, in closets and even behind doors. Teach the dangers of fire and fire starters to the youngsters in your home. Keep matches, lighters and lighter fluid out of reach and remind them of the dangers these “fun toys” have. Unfortunately, sometimes even our most trusted anti-fire efforts fail and we find ourselves struggling with the disastrous mess of cleaning up after a house fire. Thanks to the Disaster Doctors of Utah, cleaning up a disaster got a lot easier. 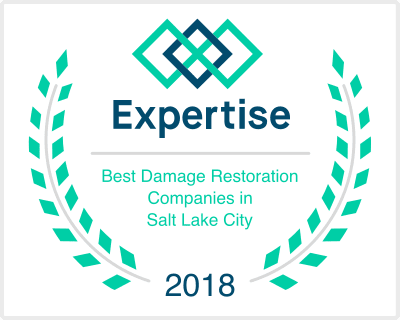 As experienced disaster cleanup professionals, Disaster Doctors has your back whenever floods, fires, storms or mold threaten the integrity of your home. Call Disaster Doctors today and discover the benefits of cleaning up with the professionals.